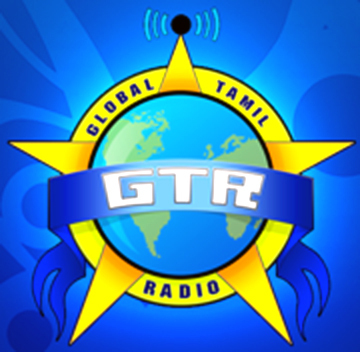 Minnal Tamil Radio is one of the very best FM channel which is broadcasting from Kuala Lumpur, Malaysia.Here you can enjoy its live stream , We tried best to provide you good quality streaming but some time you still experienced some listening problems.But you can still enjoy this 24 hrs here.Do you know this is first Tamil broadcast service which is providing real entertainment and it is also known as Radio 6. Cannot get the streaming online – please upgrade the system! We can get THR Raaga, why not Minnal? Can the management not do something about this? How can a Malaysian overseas keep in touch with the National Tamil Channel? 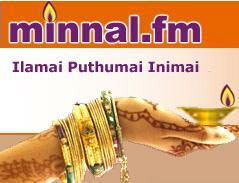 Minnal fm, Naan Kuching edam matram seitha pin evlavo muyarchi seiten minnal fm ketka. erandu varudathiku piragu epoothan kidaithathu. nandri. naan oru thivira rasikai en vidil 24 hrs minnal fm than en samaiyal araiyeel. eravil en uranggum araiyel. entha erandu varudam naan patda padu ennakuthan teriyum. eppo niraiya anaantham. erunthalum oru varutham. EEN ENGGE REDIOVIL MINNAL FM KIDAIKAVILLAI. pls atharku muyarchi seyunggal. Cannot get the streaming online – please upgrade the system! We can get Minnal but not THR Raaga, why ? Can the management do something about this? hi reika, im a msian to living in belfast and i too have the same prob..cant stream thr raaga but minnal fm is ok…which part of UK are u living? pongal program morning pattukkottai S.K.T.Rajendren nathaswaram is very nice. i am malaysian living riyadh saudi arabia, i am facing the same problem, minnal fm is very fine, but thr raaga is so disappointing. Why always out of steam ooops! stream????? Why am I not able to receive minnal rtm streaming with my samsung tab 3 I can see audio waves, but not listen to the audio.i am at perth now.